It's so dazzling, it's so defiant, it's so dangerous. 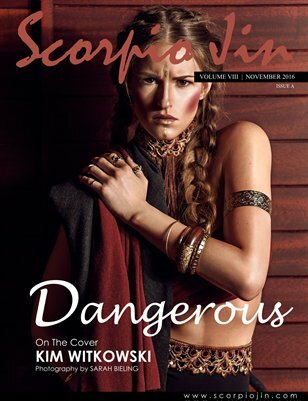 Scorpio Jin Magazine presents it's EIGHT VOLUME featuring our "Dangerous" issue. The Dangerous issue explores the inner feelings and thoughts that most of us share. It is a dark and aggressive world that we hold deep within our minds, waiting to be released at any moment.